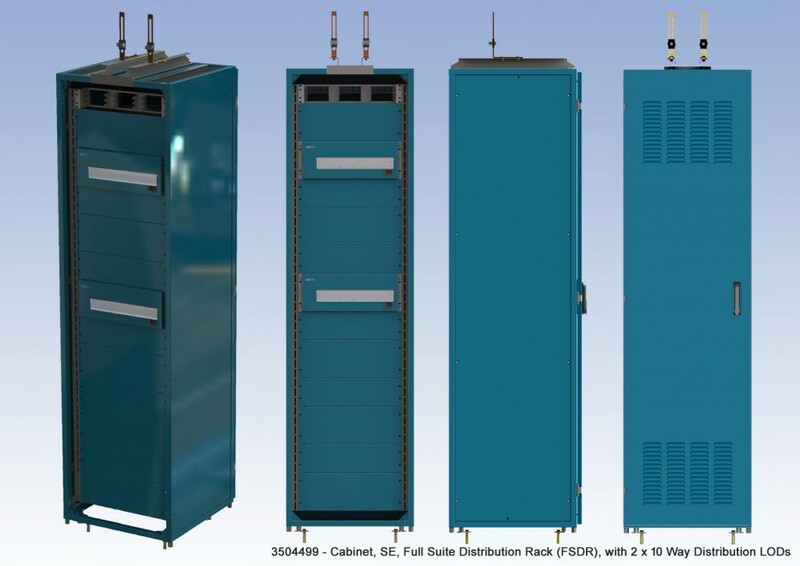 The full suite distribution rack (FSDR) is designed for LOD power distribution in Telecommunications & 48 V DC applications. 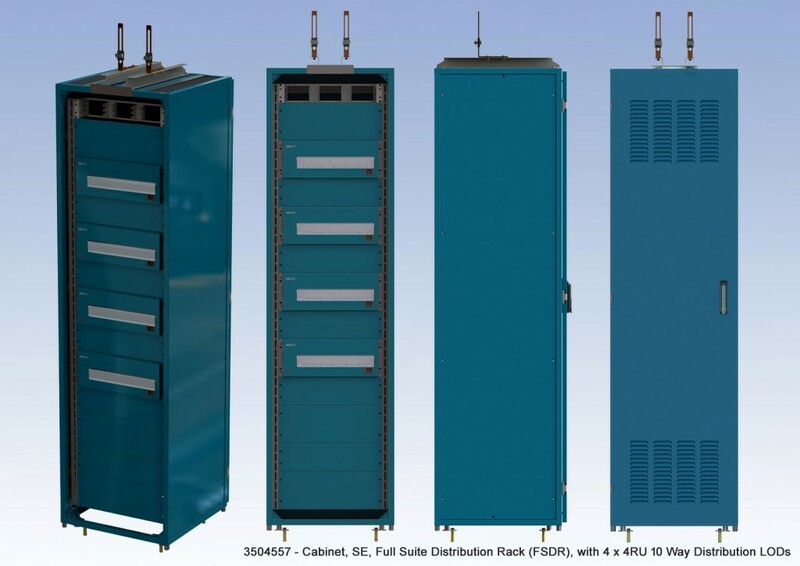 This rack is specifically configured for installation of up to four 4 RU LOD panels. The rack is fitted with alarm wiring from each module to a Krone block where remote alarms can be connected. Versions with either 10 or 18 way LODs can be supplied in this rack.